Baked peanut butter chocolate donuts with peanut butter glaze and chopped Reese’s cups for topping! It’s baaaack. Let’s face it, peanut butter never left. What can I say? This was bound to happen and we both know it. There are two foods I would take with me to a desert island: peanut butter and donuts. Any kind of donut, I don’t even care which. Given the choice, I’d pick cream-filled chocolate glazed, but I’m honestly not picky enough to care. I just want an island full of donuts. And peanut butter. 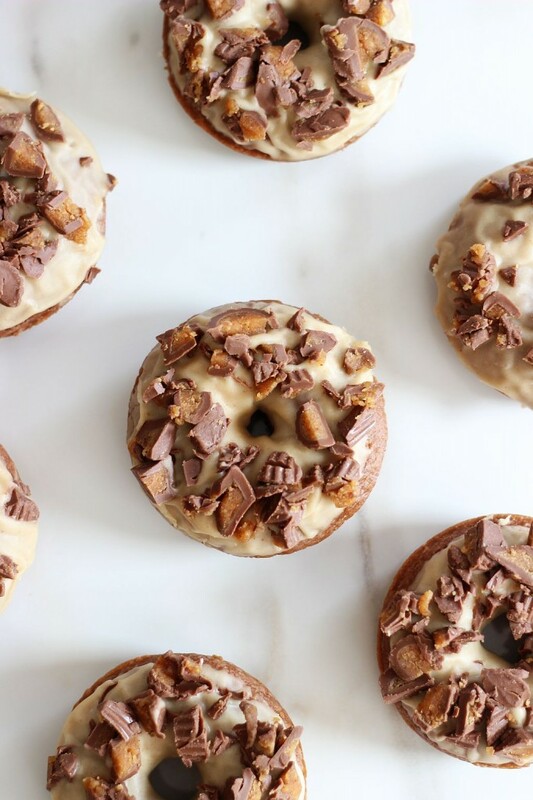 Plus these donuts include chocolate too, so they’re basically the perfect food. 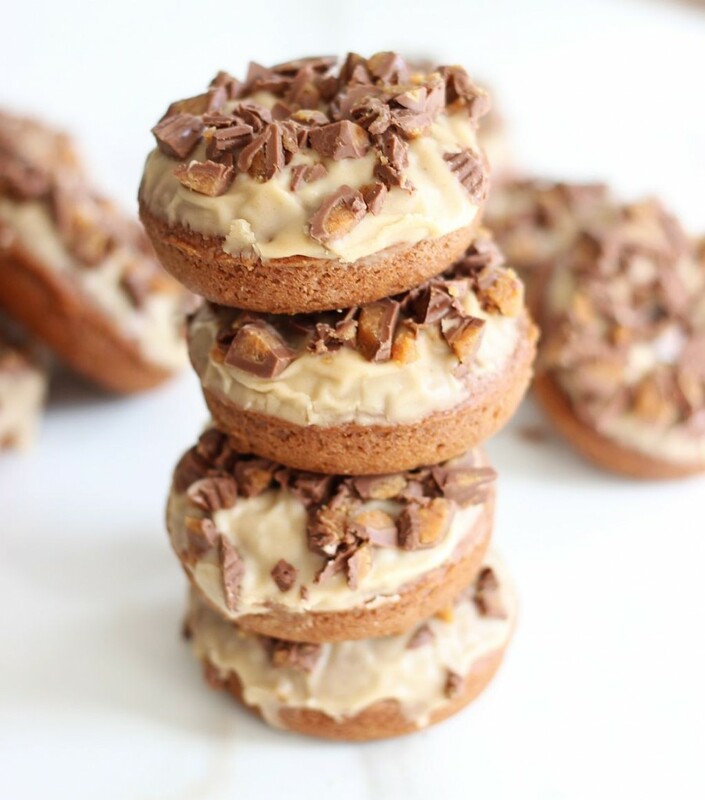 These Baked Peanut Butter Chocolate Donuts are easy and no fuss. Well, as easy as making cupcakes and frosting them. If you think cupcakes are pretty simple, donuts are too. 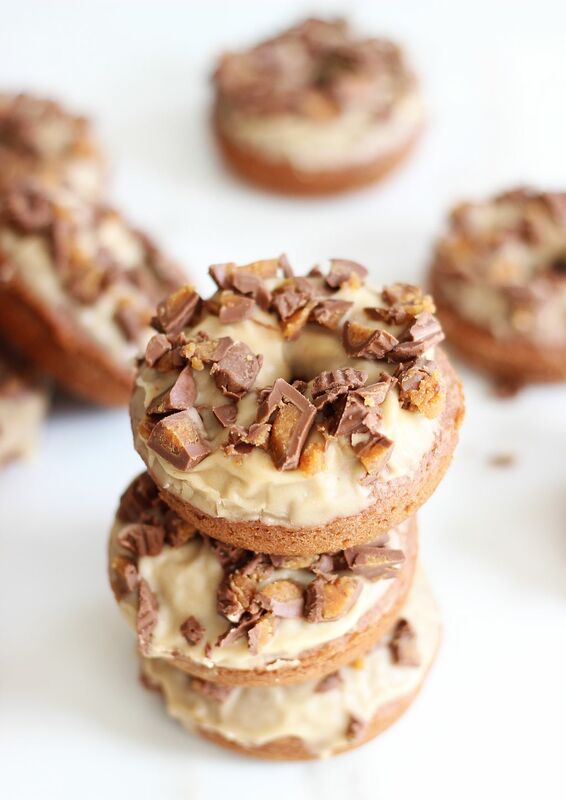 This is just a simple baked cake donut, doused with a rich peanut butter glaze, and dunked in a bowl of chopped up peanut butter cups. Yep. The end. I’ll take a dozen. Do you deliver? You could probably make these in 30 minutes start-to-finish. You guys should make them over the weekend!!! These look perfect and delicious! Wish I could grab a few! 🙂 Peanut butter and donuts = happiness!! These donuts have my name written all over! There’s chocolate, there’s peanut butter.. I can live on this forever! Yes it’s the perfect food! 😀 Pinning! I know. The best foods of life, right? Thanks, girl! OMyGoodness! Looks like heaven! 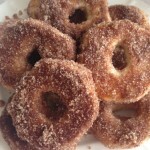 Pinning these gorgeous donuts and stopping by from Lou Lou Girls Fabulous Party. Thanks for sharing. Hahahaha!!! I could easily see how that would happen! Lol! Everytime I come here you have such fabulous recipes. 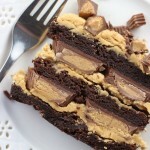 To be honest, one of my favorite combinations is chocolate and peanut butter. One of my little ones has a nut allergy, so I don’t get it very often, but I love dreaming of it! Thank you for sharing at Snickerdoodle. Hope to see you again tomorrow! 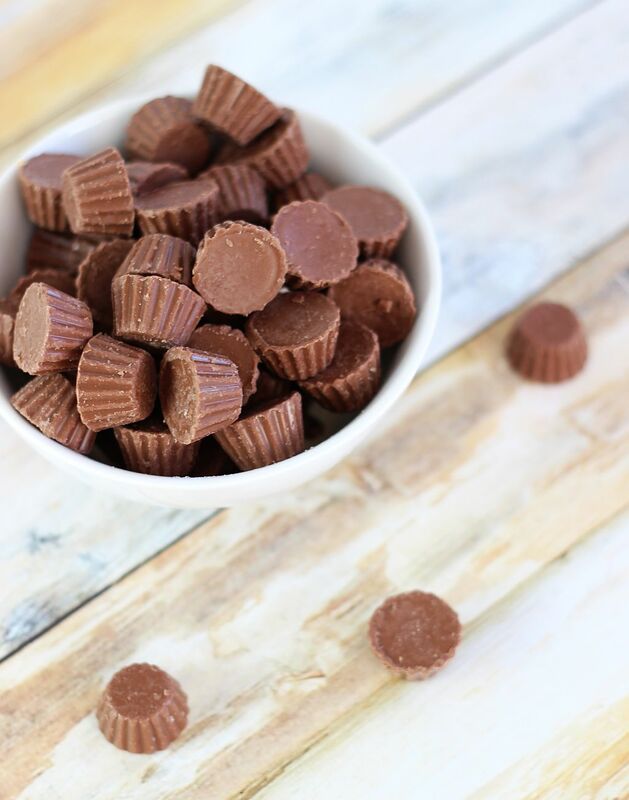 Yep, cannot go wrong with chocolate and peanut butter! It would be so hard to have a nut allergy. Thank you for the party! Featured as my favorite for next week’s Turn It Up Tuesday. I made some today and they are super yummy!! Amazing looking donuts! Thanks for sharing in the Thursday Favorite Things Blog hop! OMG, there should be a law against these doughnuts. I’m glad there isn’t because I’m pinning this recipe for later indulgence. Thanks for sharing on Sunday’s Best. Hope you will party with us again. Lol! 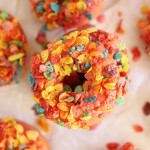 They are definitely not an every day breakfast, but are an awesome occasional treat! Thank you! Oh wow! These look so amazing. 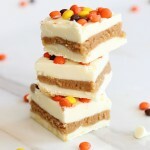 Thanks for linking up at the Creative Collection Link Party…I am totally craving now! Uh Oh. This could be bad. 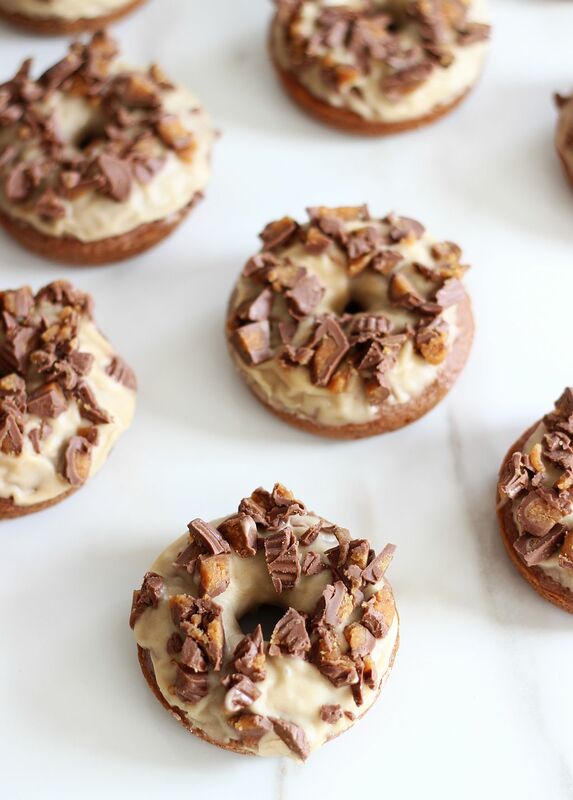 I’m not sure there is any more perfect food than chocolate and peanut butter paired together, but add it to a donut? Talk about perfection! My son wants to open a donut and brownie store some day (much like the popular cupcake stores except he’d offer donuts in the morning and brownies in the afternoon as the kids get out of school.) We’ve been collecting recipes and giving them a try every weekend. This is definitely going on our “to do” list. I just hope that I can give them a try without eating all the peanut butter cups before hand. Or maybe I’ll just move to a deserted island so I can try these without having to share! Thanks for sharing the recipe! I’m off to pin it now! These pictures are fab and I am a sucker for a fantastic baked donut. This idea is great and I can’t wait to try these out! I featured your post this week at #FoodieFriDIY – thank you so much for participating! Oh thank you so much for the feature, and for the party! 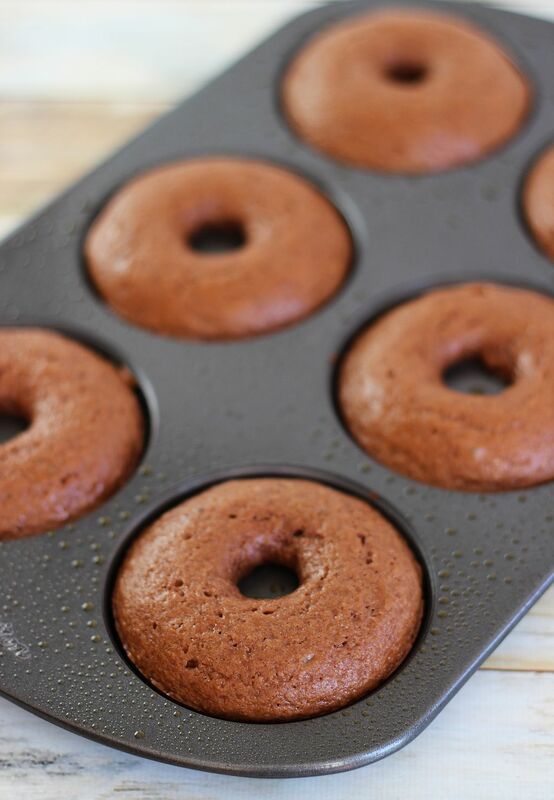 Made these this morning, was really disappointed – a few helpful hints to those thinking about making them: there’s NO chocolate flavor – if you like a chocolatey donut, you’ll probably want to double the amount of cocoa powder. With the glaze – next time, I’m going to try milk instead of water – the consistency of the glaze was ok but again, the flavor was lacking. Overall, it’s a decent recipe, but a few tweeks will probably improve them significantly.